This past year has provided those who want to serve the Lord with plenty of opportunities. In the midst of all the crises in our country, every believer could bear strong witness about the hope that lives within us. And so it has reverberated: numerous stories about the renewing power and imagination that originates from the Spirit. Not everything was always easy. The fires in the Southern Cape, the drought and economic downturn have hit us hard, so too have the rumours about crises in the management of our country. But in the midst of all of this we have received continuous reports of God’s care, the salvation of Christ and the love which He pours forth into the hearts of his children. In the midst of everything we have been inspired by God’s grace and his never-ending goodness. In fact, the celebration of the Reformation, 500 years ago, has reminded us once again of our identity as receivers of such abundant grace, that peace now exists between us and God (Rom 5:1). The moderature has worked with continued diligence and our commitment to each other has been constantly strengthened. Our cooperation with the different ministries, and therefore also with the ministers in synodical service, was dynamic and imaginative. By the way, we thank the Lord regularly for a wonderful team of ministers and other staff working in our synod’s service. We as synodical team have worked together on the development of: the spirituality centre in Wellington, a new strategy for evangelism, a church order for a missional church, the building of unity with URCSA, the development of strong ties with other churches, living with our daughter churches in Africa, the development of an extensive network of practical-theological training in Africa (NetAct), support to congregations to live out their calling, new faith communities, support to all our ministers, the building of strong relationships between the partnerships related to the Faculty of Theology in Stellenbosch, strong input regarding the theological training of our students, discussion about important theological and ethical issues under the guidance of our Commission on Doctrinal and Topical Matters, insight that each person has been created in the image of God, our public witness, for example in Kleinmond, where violence and disruption have paralysed a community, a strategy for emergency relief where disasters occur, Early Childhood Development (ECD) groups for pre-school education, archive services, finances and property and many more. Thanks to the Lord’s all-encompassing grace, we could experience wonderful growth and progress in most of these and other endeavours. Our congregations’ imagination for the kingdom has increased daily. From all over we hear beautiful testimonies about how the Lord inspires congregations and takes them with in his mission to the world. Church members understand increasingly that the office of the believer is the operational edge of God’s movement. Therefore we can, having reached the end of this year, only give praise and thanks to the Lord. His grace is overflowing. Due to personal reasons Elize Morkel and Tinus van Zyl have resigned from the moderature at the end of the year. We shall always be thankful for the special contributions they have provided to our insight and work. They will be missed. Christmas is an opportunity to give thanks for all out gifts – of course foremost to Christ who came to set us free. But we can also give thanks at the end of the year to the Head of our church who has wonderfully led us, provided, and brought comfort and care in extraordinary ways. May Christmas this year be a feast of gratitude and revival for all of us. May we then embrace the new year with all its opportunities as another gift out of his hand – to serve and thereby give witness of the greatness of the Lord. A truly blessed Christmas to you! May his love anoint, inspire and urge you! Vrywaring | Disclaimer | isiLandulo – Click here. – This letter is available as pdf-document – click here. 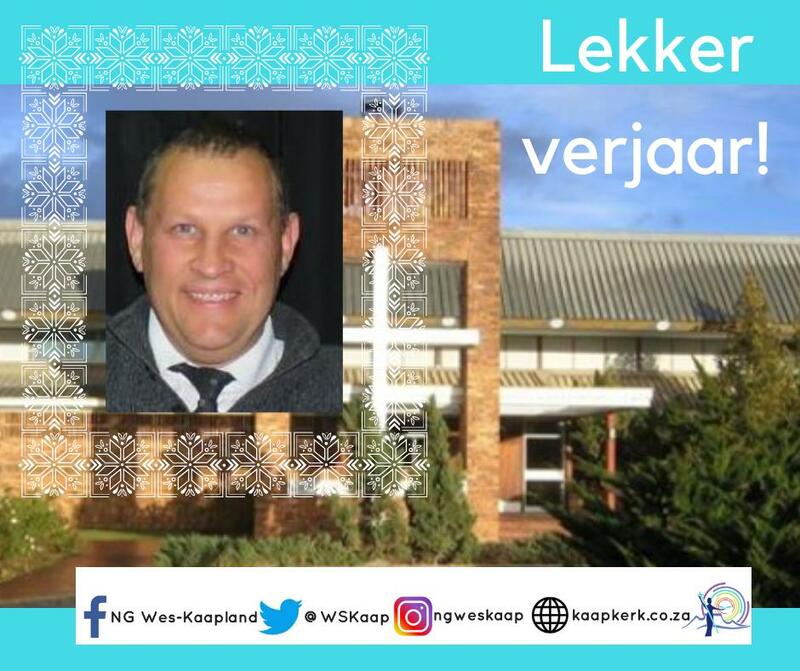 – The Afrikaans version, Uit die Moderatuur, is hier op ons webwerf beskikbaar.